What Do You Get for the Price on the 2015 Hyundai Santa Fe? Let’s see what the differences are between these two models. The 2015 Santa Fe, on the other hand, only manages 25 highway mpg and 18 mpg in the city. Those are savings that will add up quickly, and we don’t think that the extra horsepower found on the Santa Fe is enough to warrant such a large difference in the fuel economies; do you? In addition to all of that, the Honda CR-V has one of the best selections of standard features in the crossover world, giving drivers access to Bluetooth HandsFreeLink for phone and audio, a touchscreen infotainment system, a rearview camera, and more without any need to upgrade! Honda is redefining the standard in “standard features,” and you reap the rewards! While the Santa Fe does offer many similar amenities, the fact is that we can’t see why there’s such a substantial price difference; can you? 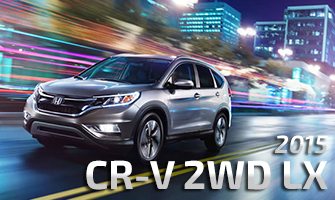 In order to see if the 2015 Honda CR-V is the right car for you, you should visit a Central Illinois Honda Dealer near you and take one for a test drive. We’d love to put you into the driver’s seat today! 0 comment(s) so far on What Do You Get for the Price on the 2015 Hyundai Santa Fe?